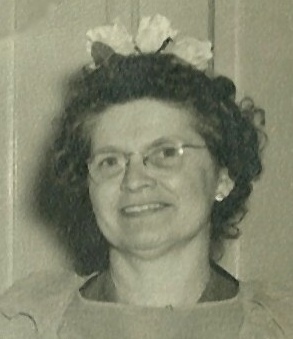 My great-grandmother Edith Edna Curtis was born 31 Mar 1903 in Dubuque, Iowa and died 26 Mar 1989 in Wausau, Wisconsin. She was the mother of my maternal grandfather, Lloyd O. Krueger, and the daughter of Florin Herbert “Bert” Curtis and Edna Edith Mullins. I’ll write about the Curtis family some other time because it’s the only family on my mother’s side that’s not made up of recent immigrants to the US. In fact, some branches of the Curtis family go back to the Pilgrims like much of my father’s family does. Everyone in the family considered Edith to be “an Irish gal”, even though she was really only half Irish. 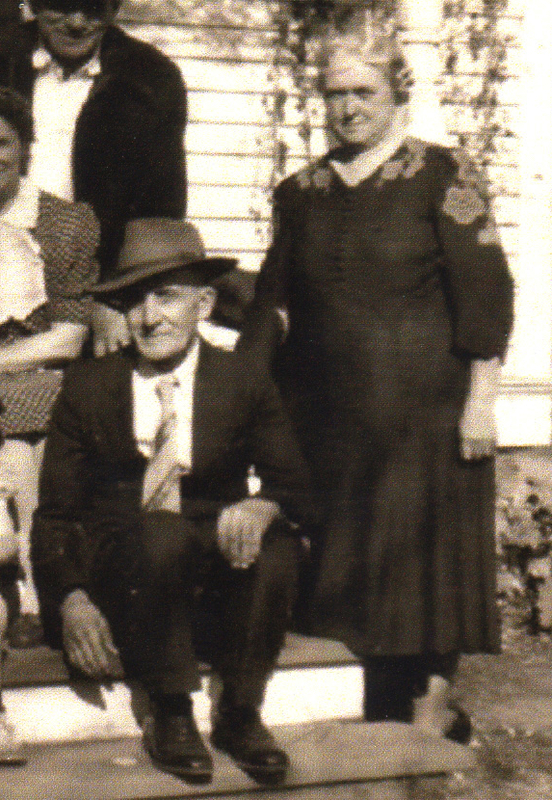 Edith’s mother, Edna E. Mullins (1881-1964) was the child of Irish immigrants, John Mullins and Mary Jane Hammond. John Mullins was a blacksmith, said to have been born on 25 Mar 1844 in Ireland, and mostly likely coming to the US about 1862 around the age of 18. So far nothing is known about his family or his history in Ireland, and it is often the case that Irish immigrants did not know their actual birth dates and picked one once they arrived in America that they used here. On 14 Sept 1863 John Mullins enlisted as a private in Company E of the 14th New York Heavy Artillery Regiment in the Union Army. I find this remarkable, because it’s not likely he had been in this country more than a handful of years. He served nevertheless. John’s company was sent on detached service to Fort LaFayette in New York Harbor where they manned the heavy cannons protecting the harbor. John Mullins was promoted “by special orders” to the rank of Corporal on 16 Aug 1864, and mustered out after the war in Washington D.C. on 26 Aug 1865. I don’t know when his regiment returned from Virginia to Washington D.C., so I don’t know if he was in the nation’s capitol when President Lincoln was assassinated in April 1865. Edna Mullins’ mother was the afore-mentioned Martha J. Hammond. You can learn a lot more about her in this story. She was born on on 22 Jun 1848 in Drummenny, Donegal, Ireland, the third child of John Hammond and Jane Bustard. Martha came from a rather extensive family, having seven full siblings and thirteen half-siblings. 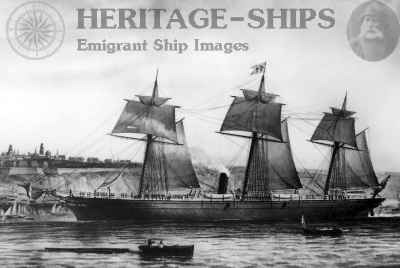 She arrived in the US on 26 Sept 1866 aboard the “Caledonia” sailing from Glasgow, Scotland to New York City. She was 17 years old and traveling with her 20-year-old sister Elizabeth “Betty” Hammond. The Caledonia which brought the Hammond sisters to the US in 1866. Martha is in the 1870 census for Marengo, Iowa living with her 11-year-old sister Margaret. John is in the same Census working as a Blacksmith on the ranch of cattle dealer Thomas Crew. The next year, on 18 May 1871, the two were married in Marengo. John Mullins & Mary Jane Hammond, c1871. Four children were born in Marengo, and my 2x-great-grandmother Edna Mullins was born after the family moved to Grinnell, Iowa about 1879. The family can be found in the 1880 census for Grinnell. John is again listed as a blacksmith. 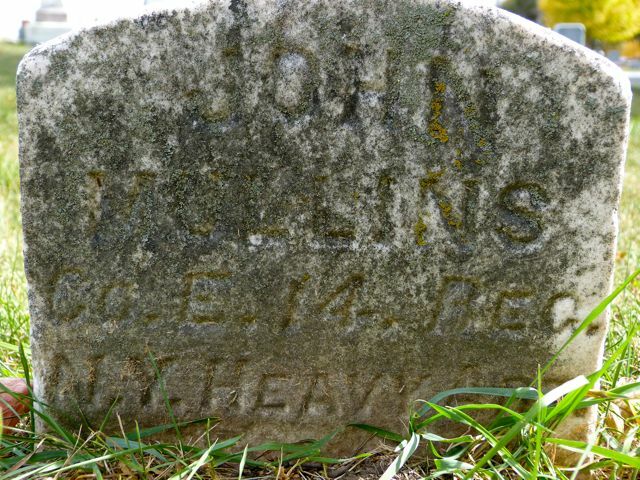 John Mullins was only 49 years old when he died in Grinnell of “paralysis” on 29 Jun 1894. He was buried in Hazelwood Cemetery. Martha went to live with her daughter Bessie and her husband Guy H. Curtis where they can be found in the 1900, 1910, 1915, 1920, and 1930 census records. Martha Hammond Mullins died in Grinnell of heart disease on 2 Dec 1930 at the age of 82. Their daughter (my 2x-great-grandmother) Edna Mullins was born in Grinnell, Iowa on 30 July 1881. She married Florin Herbert “Bert” Curtis on 31 Dec 1896 in Great Falls, Montana. She lied about her age and said she was 16 on her marriage license, but really she was only 15 years old. Bert was 21. After a brief stint in Montana, they moved back to Iowa. Bert and Edna had at least nine children, and likely ten, between 1898 and 1917. Edna was a housewife, raising the kids, and Bert worked painting carriages. Eventually they moved to Toledo, Iowa and Bert made the move from painting carriages to painting cars. 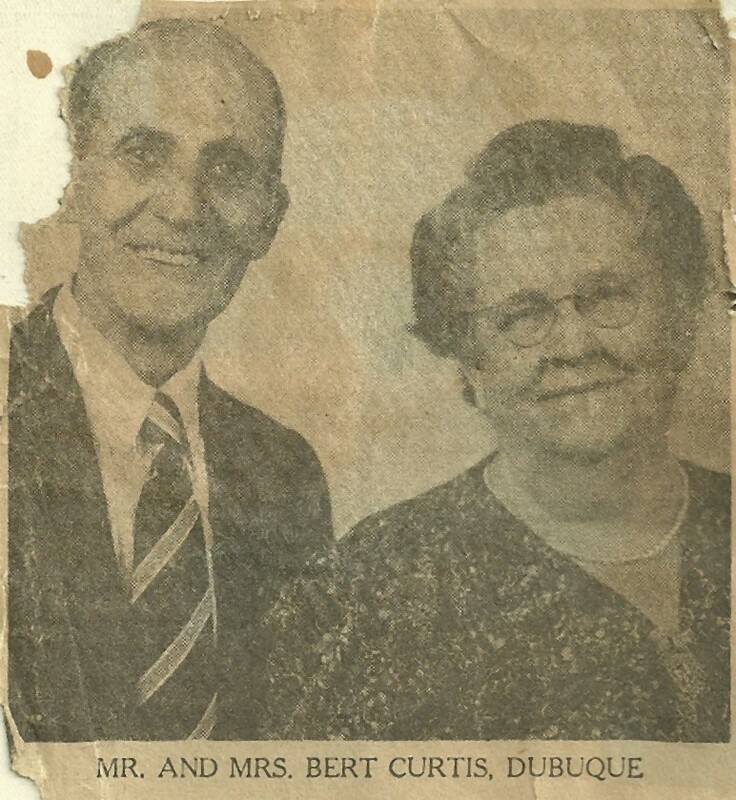 By 1946 Bert and Edna had moved to Dubuque. Bert Curtis and Edna Mullins at their 50th wedding anniversary celebration. January 1, 1947. Bert died of a heart attack on 4 Oct 1952 at the age of 77, and Edna died 27 May 1964 at University Hospital of gangrene (probably diabetes-related). She was 82. They are both buried in Linwood Cemetery in Dubuque.